Melanie Cheng is a writer and general practitioner. She was born in Adelaide, grew up in Hong Kong and now lives in Melbourne. Her collection of short stories, Australia Day, was awarded the 2016 Victorian Premier’s Literary Award for an Unpublished Manuscript. 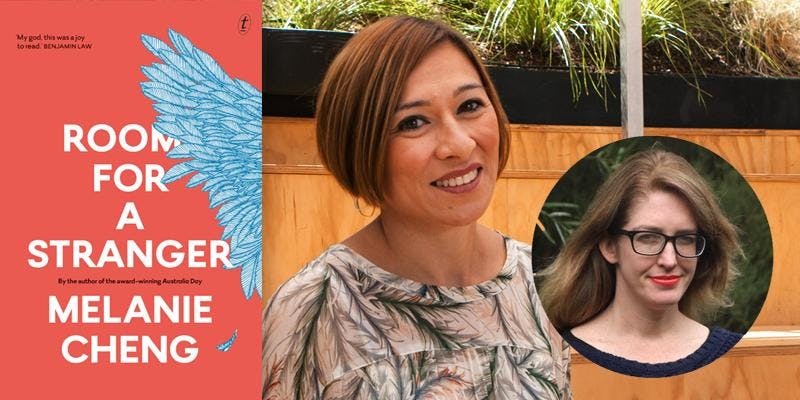 In 2018, it also won the Victorian Premier’s Literary Award for Fiction. Johanna Leggatt is a journalist and book reviewer with more than 20 years’ experience both in Australia and the UK. She has worked as a staff reporter for Australian Associated Press, The Sun-Herald in Sydney and as a section editor at The Herald and Weekly Times in Melbourne. Johanna was also an online sub-editor and reporter for The Guardian and The Telegraph newspapers in London. These days, her work appears in a wide range of publications, including The Guardian, Sunday Life, News.com.au, Good Food, and Australian Book Review. She lives in Melbourne with her partner, and her enthusiastic German Short-haired Pointer, Betsy.